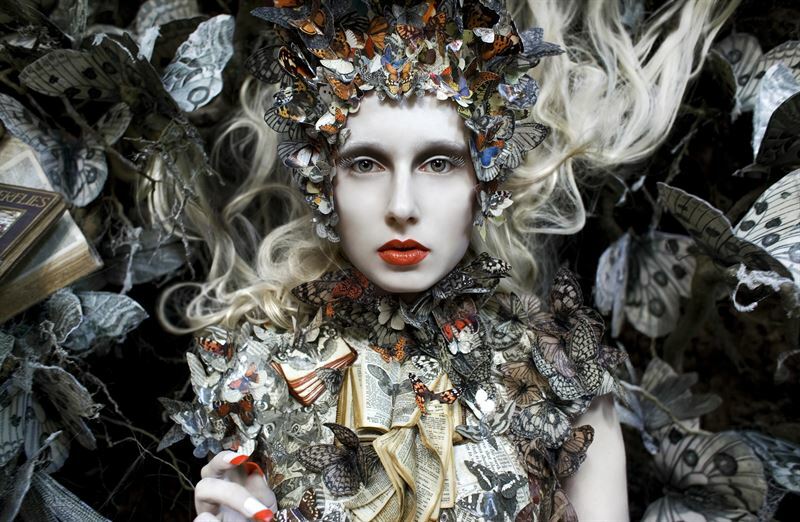 On 7 December, Fotografiska will open the doors to Kirsty Mitchell's fairy tale world in this winter's major exhibition Wonderland – a dream world to be enchanted and embraced by during the darkest months of the year. The magical creations and woodland sets of Wonderland both move and fascinate. Mitchell embarked on the intensive 5 year project in the summer of 2009, a few months after her mother had tragically died of cancer in 2008. It became her escape from a painful reality as she sought her way back to the fairy tale world they shared throughout her childhood. In the woods around her home, the characters from Mitchell's imagination were given free roam in front of the camera. A journey through a healing grief in a fairy tale kingdom…The story of Kirsty Mitchell and her Wonderland project is much like a fairy tale. A multifaceted fairy tale in many respects. "For the first time, the exhibition will include all 74 photographs featured in the Wonderland book. The exhibition is a true fairy tale experience – like a brightly coloured firework display where magic and reality meet on the journey we call life," says exhibition producer Lisa Hydén at Fotografiska. When the mother is diagnosed with a brain tumour, the daughter's world comes crashing down and in her grief she turns to the ancient woodlands that surround her home, deep in the English countryside. With incredible attention to detail, she plans and prepares her photos by designing the most spectacular costumes and props, some of which take months to complete. Each piece is a tribute to her mother, forged from the daughter’s faded childhood memories of the books they once shared, mixed with the sadness of her adult grief and her new found spiritual connection with nature. 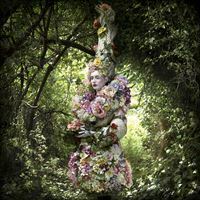 The story behind Mitchell's Wonderland book, which will now also take the form of an exhibition at Fotografiska, is as magical and spectacular as her woodland photographs. "We felt that somehow my mother was with us, so it was important that we always went to the woods as planned, regardless of the weather. So we hauled these creations through snowstorms and downpours to let that which was supposed to happen actually happen. The overall feeling of this tribute to my mother was that it just needed to be done. It was like escaping to a place that felt deeply meaningful, in the midst of everything else," says Mitchell. "At that point, I was contacted by a big name in the industry who suggested that I should self-publish and that it could be financed by crowd founding. Then we'd be able to get enough money together to use the best designers and printers. So we set it up, my husband and I. Once we'd registered the project on Kickstarter, we were really on edge, wondering if anyone would be interested. Then it started ticking upwards, again and again, because it turned out that so many people wanted to get involved and contribute," Mitchell explains. The book achieved it’s funding goal within 24 hours and after 28 days ‘Wonderland’ became the most funded photobook in crowdfunding history raising £334,000, with the first edition selling out completely within 2 months. And the result – a photo book unlike any other of the absolute highest quality in all respects from the paper to the design. A book that does justice to the photographs and this daughter's tribute to her mother. Everything planned and managed down to the last detail by a heavily pregnant Mitchell, who eventually gave birth to her first child on Christmas Eve 2015, just 2 days after the book was delivered to it’s supporters all over the world. But the drama of this story doesn't end there. Eight months later, new mother Mitchell was diagnosed with breast cancer whilst in Italy printing the Second Edition of her book and the next chapter of the challenges of life unfolded. "I just focused solely on getting through it and put all my energy into my recovery. Now, two years later when I've been given the all-clear, I have so much creativity trapped inside that needs to get out. I know how much healing is to be found in expressing your innermost feelings, whether through words or a creative process, and how rewarding it is to share this process with others." 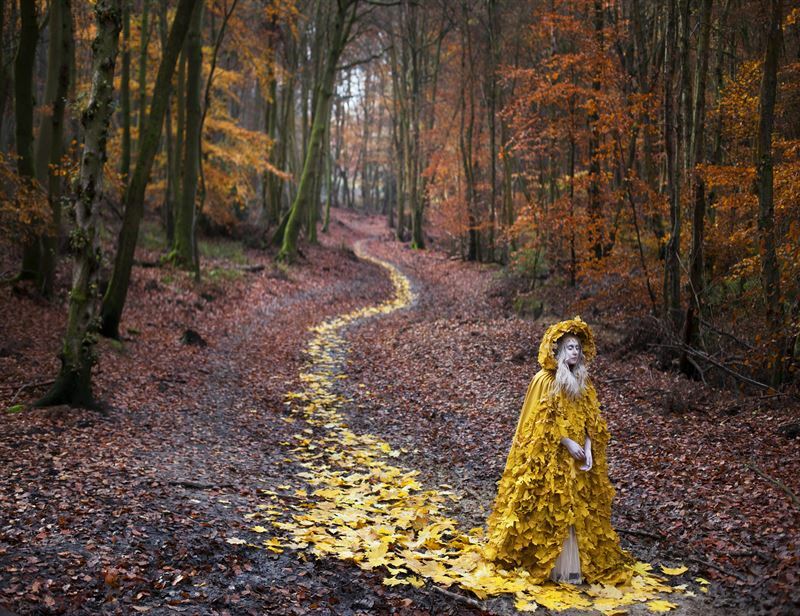 Photo: Kirsty Mitchell shooting Wonderland with sets that she and her team built with almost no budget. Footnote: The press pictures is not allowed to be cropped, just for press publishing during and till the end of the art fair period at Fotografiska. Fotografiska Stockholm is not only the world’s most esteemed museum dedicated to the world of photography. The concept also contains an internationally awarded restaurant elected “the Museum Restaurant of the Year 2017”, as well as inspiring event spaces, an acclaimed academy and a shop featuring an extensive selection of photographic books and a collection. With a great network of world-class photographers at the core, Fotografiska Stockholm has since the opening hosted more than 170 exhibitions, including the work of iconic masters such as Annie Leibovitz, David LaChapelle, Irving Penn, Helmut Newton, Sarah Moon, Nick Brandt and Andres Serrano, as well as up-and-coming young photographers. By taking a stand in controversial issues and stretching their responsibility far beyond the realm of traditional art institutions, Fotografiska has a history of acting as an influencer, playing an active role in the Swedish society. The purpose is simple, to use the power of photography to unite, spread awareness and create positive impact. To inspire a more conscious world. Initially opened in Stockholm in 2010 the Fotografiska family is now growing and are expanding to Whitechapel in London and Park Avenue in New York. Taking on these prime locations Fotografiska aims to redefine the traditional museum experience by creating urban meeting places where global citizens are invited to dwell, get inspired, question the taken-for-granted and grow as individuals. 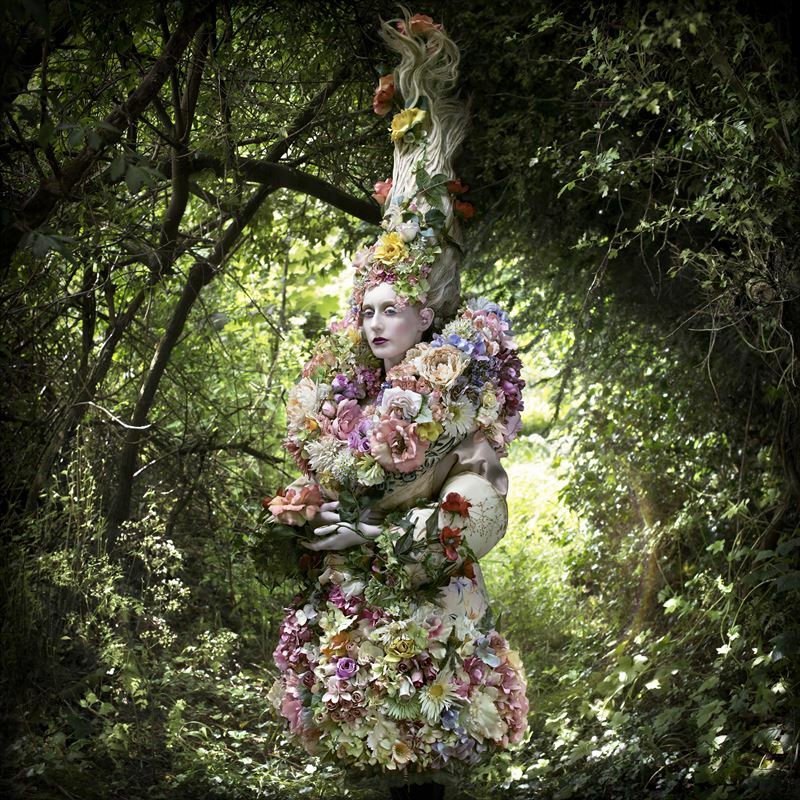 #fotografiskawonderland On 7 December, Fotografiska will open the doors to Kirsty Mitchell's fairy tale world in this winter's major exhibition Wonderland – a dream world to be enchanted and embraced by during the darkest months of the year. The magical creations and woodland sets of Wonderland both move and fascinate. Mitchell embarked on the intensive 5 year project in the summer of 2009, a few months after her mother had tragically died of cancer in 2008. It became her escape from a painful reality as she sought her way back to the fairy tale world they shared throughout her childhood. In the woods around her home, the characters from Mitchell's imagination were given free roam in front of the camera. The ambition was to create a book, a book of the highest quality to reflect the great, heartfelt love that existed between mother and daughter, and it was to reach a large audience. The book Wonderland, with is 74 pictures and Kirsty Mitchells diary from this period, was launched as a crowd founding project. The book achieved it’s funding goal within 24 hours and after 28 days ‘Wonderland’ became the most funded photobook in crowdfunding history raising £334,000, with the first edition selling out completely within 2 months.